SJCS is not a government funded school. We are a collection of homeschool families working together with the Schola to fulfill our children's program plans. Along with a registration form for SJCS, each family is also required to submit registration forms and a Program Plan to their respective school board each year. In turn, the school boards provide a small amount of funding to offset the cost of resources that align to the child's program plan. Students register with Centre for Learning at Home, which is a school board in the Christ the Redeemer School Division. Registration forms can be found on their website. Each family is allotted a small amount of funding that can be accessed HERE. The money must be spent on things that relate to the student's HOME EDUCATION program plan (for most students this will be science, social studies and other options that you can add to your program plan. This does not include Math or Language arts). Please check with Paul Hudec for more information. Because health and math are both aligned to the Alberta curriculum, you must provide regular updates on your child's progress in these subjects. Health assessments can be found HERE. Grade 1-8 have five assessments per year. Please complete two before Christmas, and the other three in February/March. Some families prefer to get them all done at the beginning of the year. Grade 7-9 students can bring Health Assessments to study periods to complete at school. If you need clarification about any of the health assessments, please contact Paul Hudec. ​Use whatever program* you would like. 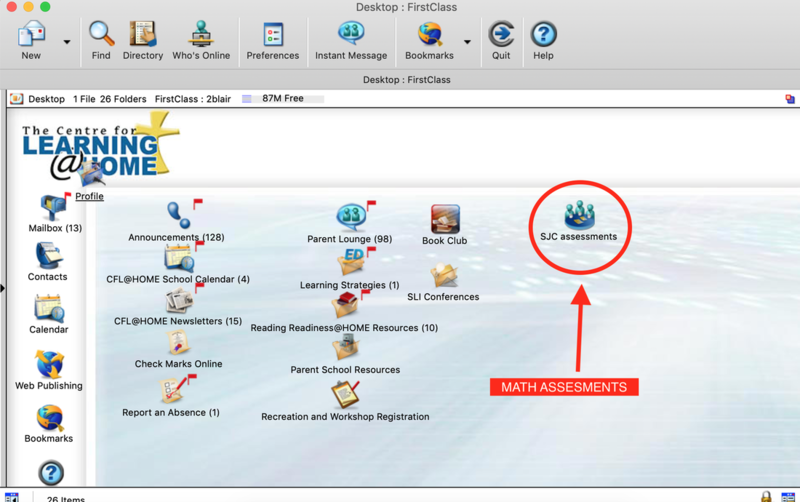 Use a CFL-approved Math program* and submit unit tests or other updates of your progress to Paul Hudec. Students register with Wisdom Homeschooling, a traditional school board affiliated with Trinity Christian School Association. The Wisdom office assigns each family a facilitator familiar with the Schola, who will help you navigate the high school years including all questions about credits and diplomas. Registration forms are found on their website. You will be required to fill out a program plan every year detailing which courses your child is taking and the resources used. Your facilitator will provide examples, and provide any needed assistance. Facilitators also meet twice with each family during the year, usually in your home. Each family is allotted a small amount of funding that can be accessed HERE. The money must be spent on things that relate to the student's program plan and this money may be used to offset the tuition owed to SJCS (submit your tuition receipt). If you have questions, or this is unclear, please contact your facilitator directly. If you want your student to receive high school credits and/or obtain a High School Diploma, you will need to talk with your facilitator, as Wisdom is the school that submits marks and credits to Alberta Education on your behalf. Parents are encouraged to keep good records of student's report cards and exams. Watch for an upcoming article in the Parents' Corner soon. There are many options for high school besides the traditional 100-credit diploma. Many post-secondary institutions do not require a high school diploma for entrance; they are only looking for certain 30-level courses.